SEREngines 2 Testing is Now Ready - Page 2 — . :: GSA SEO & Marketing Forum ::. Put this up on Monday, Looking good so far . @shaun how many web 2.0 did you built so far? @mihais no idea I havent tracked retention rate on this project. It has just under 500 still alive spread over 5 pages with around 100 total indexed right now. @shaun thanks @steelbone what content are you using on them and also do you have any tiers? @mihais Auto spun content from Kontent Machine. @Steelbone what indexing tool are you using to get 80% indexed that fast? @Steelbone what did you use for indexing the links? About to dive in and do some testing. Really excited about this launching! Means you made tier with only ser engines? @shaun Was that a new website or had it been indexed with content for a while? It almost looks too good to be true having those rankings in 5 days, (and still holding?) so I'm definitely gonna try serengines out! Definitely going to try out SERE! T3 - SER Non Contextuals. Brand new site, they have a little dance up and down and in and out the index but thats normal. One thing to note is my Keyword research method is pretty good and finding low comp stuff. @shaun Got it. Amazing. 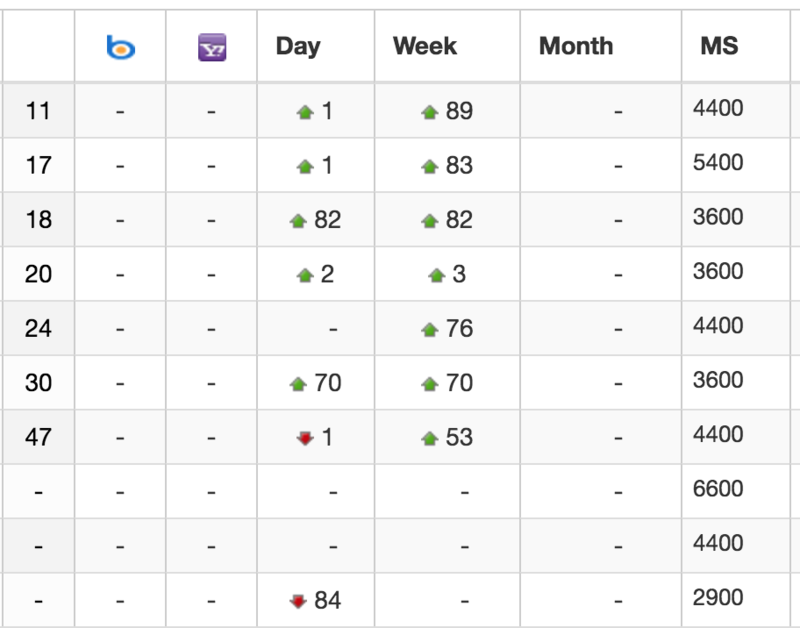 Post the Serpbook tracking if you want once a week or so, always nice to observe how other are doing with SER E.
Just wanted to mention Sven added a nice feature to the last SER update to give some more control over scheduled posting. You can now use ranges in some of the options and can click on the text next to the field to change it between minutes/hours/days. I know some people mentioned they wanted to let their accounts age so this should help with that as well. @s4nt0s do we have any indication when this is likely to switch out of beta? I'm sure there's a few of us, myself included who are eager to get started. @Johan - Well, there's a crash that's still happening randomly but it doesn't stop the link building or affect the projects in any way. When that is fixed and some more engines are added it should be ready for official release. Anyone can sign up now and test it but they just have to know its considered beta and you can run into issues. Is it possible to export the accounts created with SER Engines to manually login into? @JD_PMG - Right click on project > modify project > export > account data. @ s4nt0s What other 2.0s will be added? @antonearn and @echanney - They are being worked on, but if you guys have specific web 2.0's you want added, feel free to share them. The list rankerx supplies isn't that useful because apparently a lot of the sites don't work? If someone has a good verified list from their rankerx blast, feel free to send it over. Ning engine is being worked on right now. @s4ntos fixed my RX, I will send you the domain list of their "Premium" Web 2 profile and social network blasts tomorrow, havent filtered do/no follow for this yet. Hi there s4nt0s, I have 3 questions for you regarding serengines2, I think they are important questions that can easily be answered without ambiguity. 1. Will it be possible for ser users be able to code their own sites using the new technology (headless.exe) or is this only available to serengines? 2. Will the current sites in serengines that do not work ever be updated? Here is a list of Web 2.0 sites. I would have thought that serengines or gsa themselves would already have a list! Woke up to find RX have banned my account lol, I guess they see SERE as a threat . @shaun lol they give a reason? signed up and testing. everything is working well. this a.m. created an easy 200+ 2.0's. This is going to be a sweet deal when all of the platforms are loaded up. i am using 25 private proxies, and right now doing my own captcha manually just so i can get a feel for the tool. Will switch over to a captcha provider next week. one request would be an api for KM. I think Sven has this on his to-do list? for those waiting for it to go out of beta, i wouldn't wait. It is already a bargain for what you get and it works well right now.